Hello. I have GlassWire Basic, but I am finding that some setting do not stay unclocked. For example, Settings:Security tab, if I click the Unlock button, I can make selections. But when I close down the settings page and re-open it, everything is Locked again. Is this a limitation of the Basic version? GlassWire Basic should not have any features that stay locked after you buy GlassWire. I think you are referring to the Windows UAC prompt that lets you choose “yes” or “no” if you’d like to make any security settings changes to GlassWire. If you press the circled lock icon shown above does the Windows UAC prompt appear for you? Are you admin to your PC? When you press it, then you should see a window that looks something like the above (but it should mention GlassWire). Press “Yes” then you should be able to change your settings however you want. Many IT and Infosec Pros use GlassWire and they need to lock down its settings, and that’s why we have this Windows UAC prompt on by default. You can put a user on your PC that is not admin, then not give that user the admin password. 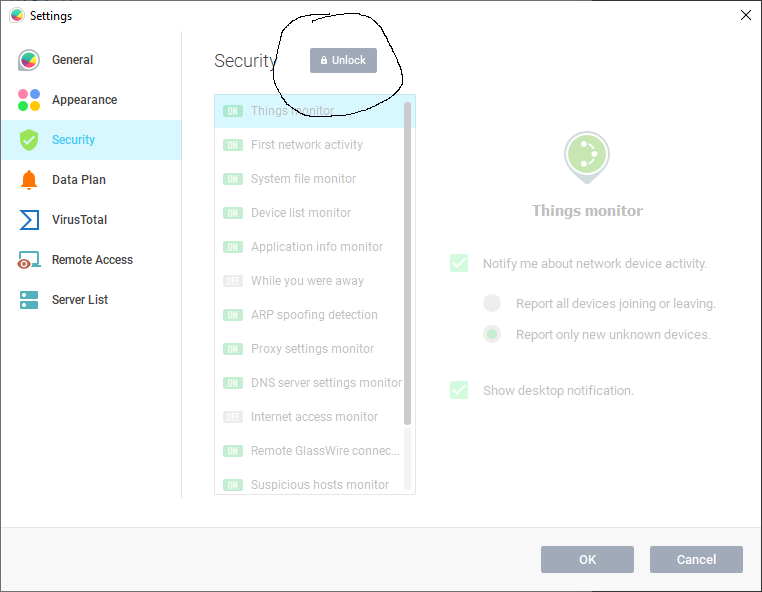 That user can then use GlassWire but they cannot change its settings since they will not know the password for the UAC prompt if they are not admin. In your case you are most likely admin to your own PC, so you should see the UAC prompt when you press the “Lock” icon in our software. 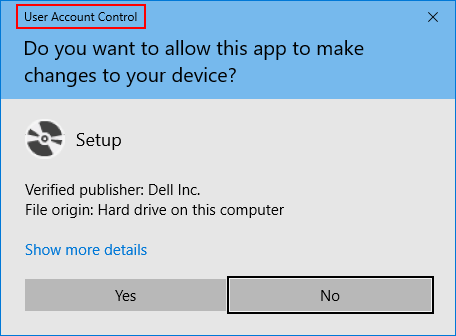 What is a Windows UAC (User Account Control) prompt? https://docs.microsoft.com/en-us/windows/security/identity-protection/user-account-control/how-user-account-control-works - This Microsoft link has more info. I hope this solves the issue and thanks for buying GlassWire. Yes that has solved the ‘problem’.